MPEG Media Transport (MMT) is a next generation media transport standard developed as a part of an ISO/IEC international standard. MMT standard specifies technologies for the delivery of coded media data for multimedia services over concatenated heterogeneous packet-based networks including bidirectional IP networks and unidirectional digital broadcasting networks. It supports hybrid delivery, multi-path delivery with inter-media synchronization. MMT also supports Quality of Services (QoS) technologies, so-called Application Layer Forward Error Correction (AL-FEC) codes, for reliable delivery in IP network environments. It is expected that the multi-functionality and the reliable delivery capability lead to launching innovative new product and services. In this talk, I introduce an overview of the MMT standard and its applications to broadcast and broadband areas: 1) a next generation 4K/8K broadcasting service, 2) ultra-realistic media communication. 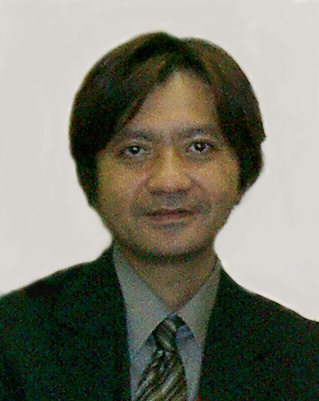 Dr. Takayuki Nakachi received the Ph.D. degree in electrical engineering from Keio University, Tokyo, Japan, in 1997. Since he joined Nippon Telegraph and Telephone Corporation (NTT) in 1997, he has been engaged in research on super-high-definition image/video coding, media transport technologies. From 2006 to 2007, he was a visiting scientist at Stanford University. He also actively participates in MPEG international standardization. He made a substantial contribution to the fundamental research of the media transport technologies and the development of the MMT international standard. His current research interests include communication science, information theory and signal processing. He received the 26th TELECOM System Technology Award, the 6th Paper Award of Journal of Signal Processing and the Best Paper Award of IEEE ISPACS 2015. He currently serves as the Chair of IEICE Technical Committee on Smart Info-Media Systems (SIS), a Member of IEEE ISPACS International Steering Committee, an Industry & Exhibition Co-Chair of IEEE ISCAS 2019. He served as an associate editor of IEICE Transaction Fundamentals (2005–2010), an associate editor of IEICE Fundamentals Review (2009–2010), the editor-in-chief of Special Section on Smart Multimedia & Communication Systems, IEICE Transactions (2015–2016), etc. Dr. Nakachi is a member of the Institute of Electrical and Electronics Engineers (IEEE) and the Institute of Electronics, Information and Communication Engineers (IEICE) of Japan. Many computer vision applications like human computer interaction have made the gesture recognition a highly desirable technique. However, the task for large-scale video-based recognition is still a challenge, since many gesture-irrelevant factors handicap the accuracy. In this talk, I will share our latest achievements on large-scale gesture recognition by means of deep convolutional neural networks (CNNs) and beyond. The whole recognition framework that helps us won two successive champions of the Chalearn LAP Large-scale Gesture Recognition Challenge, including data preparation via image processing, high-semantic feature extraction based on 3D CNNs, and a wide variety of fusion scheme will be discussed. In addition, our current research on its applications in the field of security monitoring and UAV vision will also be demonstrated. Dr. Qiguang Miao is a professor and Ph.D. student supervisor with School of Computer Science and Technology in Xidian University. He received the Ph.D. degrees in computer application technology from Xidian University in December, 2005. His research interests include Computer Vision, machine learning and Big Data. As principal investigator, he is doing or has completed 4 projects of NSFC, 2 projects of Shaanxi provincial natural science fund; more than 10 projects of National Defence Pre-research Foundation, 863 and Weapons and Equipment fund. He has hosted 1 project supported by Fundamental Research Funds for the Central Universities by MOE. In 2012, he was supported by the Program for New Century Excellent Talents in University by Ministry of Education. Dr. Qiguang Miao is the associate editor of International Journal of Bio-Inspired Computing, Neurocomputing, Journal of Memetic Computing, Multimedia Tools and Application, Journal of Industrial Mathematics, and Gate to Computer Vision and Pattern Recognition. He is also a committee member of CCF, a committee member of CCF Computer Vision. In recent years, Dr. Qiguang Miao has published over 100 papers in the significant domestic and international journal or conference including IEEE Trans. on Image Processing, IEEE Trans. on Neural Networks and Learning Systems, IEEE Trans. on Geoscience and Remote Sensing, Journal of Visual Communication and Image Representation, Neurocomputing, Knowledge Based System, IET Image Processing, and so on.